Recently there are many tricks posted here to send free SMS from different different Network carriers. The main problem of those tricks is they doesn't work for everyone and the other one is that they doesn't works for lifetime. Their is no guarantee that tricks will work forever without any problem. Tricks for sending free SMS through Computer is more efficient than mobile SMS Tricks. Because PC Free SMS Tricks are working fine and they will work until that website or program will stopped or banned. So look forward to enjoy these new area of tricks. 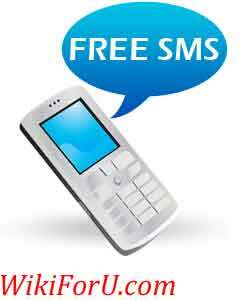 You may know that some websites are providing Free SMS services for PC Users to send free sms from PC. But they requires us to register and then we have to login again when we need to use free sms services that looks too bad. For example way2sms is providing such services without any charge. You can also try that. But i want to convey is something different than that type of services. Think once about a service which lets you enjoy free text messaging service or free sms service without any registration and also without any charges. Which also enables you to send unlimited messages without signing in i.e. directly from your pc like an application software. If you want services like that then now you can also enjoy all that services without any charge. Yes, there is an extension for Google Chrome Browser available at Google Chrome Web Store or Application Store. Just Download and install that extension to your Google Chrome Browser and Enjoy Free Text messaging without any Registration for free. Download SMS Loop from Google Chrome App Store. Click on Add to Chrome and then click on install. Now you can see a new smsloop.com icon on right top of your browser. Click on that icon and wait till a box pop-up. In that box click on create a new account. Fill your details and click on register. This will open a new box saying : "Congratulations, registration Success"
Now you will receive a message on that number that you filled in registration form. Login with given details and enjoy free SMS on your Computer. Source: Digital Tech Point. Thanks to Digital Tech Point for sharing this awesome information. Also TRY http://sms199.info to send free SMS worldwide, without any ADS and unlimited characters.